A panel of C4C's visted the Prep School this afternoon. 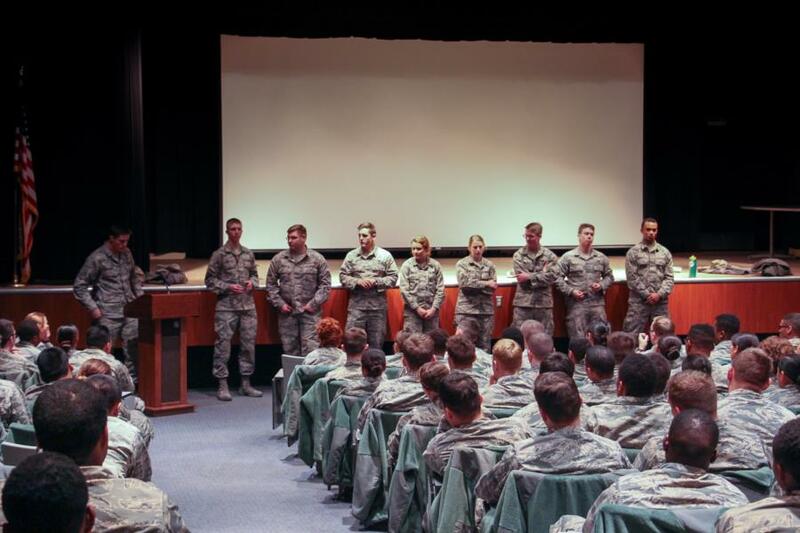 C4C Marcus Bennett, C4C Tyler Lamb, C4C David Clement, C4C Sarah Hellman, C4C Athena Eccher, C4C Austin Good, C4C Jake Saucedo and C4C Cody Gessler all stopped by the Prep School during their PLT time to have a Cadet Panel with the Preppies. The Preppies were given the opportunity to ask questions to these 8 Cadets and hear from their point of view what life on the Hill is like. Most of the Cadet Panel from today were Preppies before attending the Academy. Much to look forward to, I say! The Prep School will get several more opportunities like this one to talk with Cadets up on the Hill, in the next coming months they will get to speak with a Cadet Panel of C3C's, C2C's and C1C's. After the Cadet Panel answered all of the Preppies questions the Preppies heard some closing words from Col. Szybist, the Commander of the Prep School. To view the pictures taken go to Classes - Prep School - Prep Life. Or click the link below.